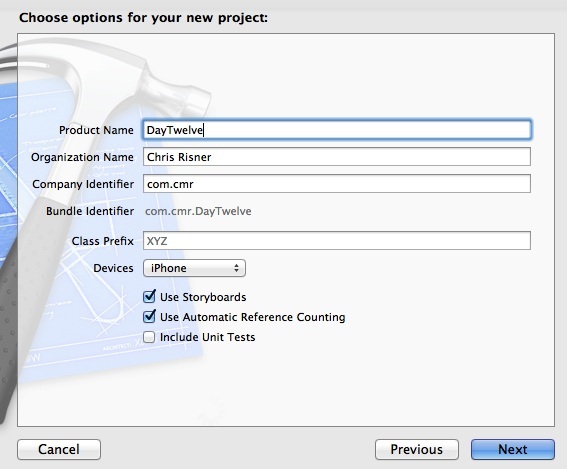 Welcome to Day 12 in the 31 Days of iOS. Today we’re continuing a subset of articles that deal with data storage. The last article focused on persisting data to the file system using NSUserDefaults. The defaults act like an NSDictionary which has the ability to save and load itself for you. Today we’ll look at using Core Data. 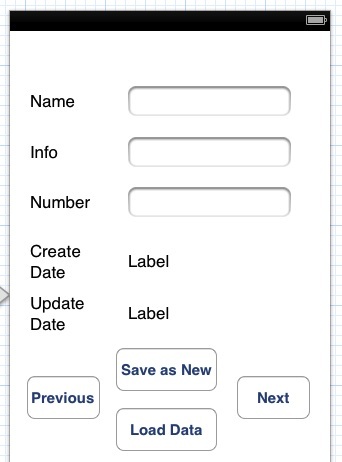 Core Data let’s you use a SQLite database inside of your iOS application. Instead of having to execute SQL statements to create tables and query them, Apple has wrapped all of this functionality (as well as a few other things) inside of something called Core Data. We’ll be starting with a brand new project, but if you’d like to follow along with the completed code, you can access it here. We have one last step to handle for our UI. If you run the application right now, you’ll see that once the keyboard is up, you’re unable to see the buttons at the bottom. We’re going to address this by making the keyboard dismiss whenever the return key is tapped. The textFieldShouldReturn is where we’re hiding the keyboard. Now that we have a usable UI, we can start to look at Core Data. Notice that if you have an attribute selected, you can change settings for each attribute by opening the Data Model Inspector in the right Utilities panel. This will allow you to set whether or not attributes are optional or not, if they should be indexed (to improve querying by that attribute), min, max, and default values, and a few other options. For today, we won’t look at those options. We’re done with our data model for now and we can go back to the code. Now we’re read to use the context in our view controller and start doing stuff with data. The first thing we’re doing is getting a reference to the AppDelegate. We then use that to get a reference to the NSManagedObjectContext. We use the context to get an NSManagedObject (notice that we use the name of the entity we created earlier here). We set the values to the text fields on our UI and then call save on the context. Run your app and fill out the text fields and tap the Save as New button and if all goes well, you’ll see the text Data saved in the debug console. Again, we get a reference to the context from the AppDelegate. We then generate a NSFetchRequest which we use on the entities. We can then iterate through the fetched results and log them. Last, we’ll pass the first fetched object to the displayManagedObject method and set it to the selectedObject. 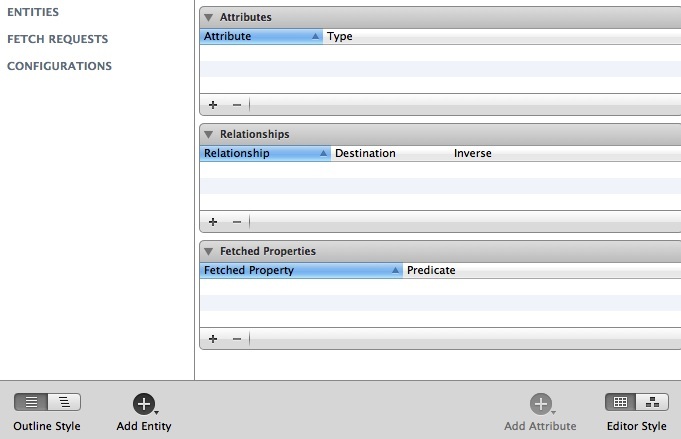 This method just sets the UI elements to the appropriate data fields from the fetched request. As we know what the currently selected variable is, we can just loop forward or back to find the next or previous item. I somewhat glazed over / summarized what CoreData is and how it works at the beginning of the article by saying that it wraps SQLite. This is true and it isn’t true. CoreData is really an object graph and persistence mechanism that is created using SQLite. 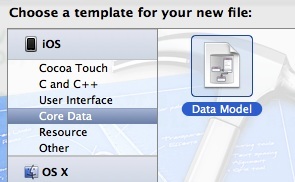 Additionally, you can actually use CoreData in a way that does NOT use SQLite. This is done by passing something other than NSSQLiteStoreType into the addPersistentStoreWithType method. For example, you can use NSInMemoryStoreType to store your data in memory (probably a bad idea considering the memory restrictions in iOS applications) to persist the data in memory. Today we took a look at using CoreData which is a very powerful way of storing data. We’ve just scratched the surface of what you can do with CoreData as well. There is much more one can do including relationships, versioning, and more. We may touch on some of those topics in future articles but it will depend on what else we have to cover. You can look at the finished source code from today here.